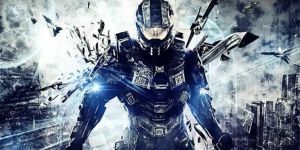 Halo 6 Reveal Is Not On The Horizon | Nerd Much? In a blog post lead writer of 343 Industries studio Jeff Easterling explained to fans that there will be absolutely nothing, no details revealed or anything else about Halo 6 in the foreseeable future. He understand that the studio should have made it more clear before E3 started that it would about the Halo 2 expansion, rather than letting the announcement imply that there would be something of Halo 6 there. So it seems despite the two year anniversary coming up for Halo 5: Guardians, we won’t be hearing anything new about the series. No matter how much we might be desperate to see what the studio is doing with the brand new title. If you’ve the theory that the Halo 6 will be coming out next year, it feels a little too late for a headliner game like Halo 6 to be unveiled. By the sounds of it, Halo 6 still has a couple years to go before we hear amore about it. It’s clear that Microsoft is giving 343 all the time they need, and that’s a good thing. Though it might not hurt to still hold out hope to hear something about Halo 6 next year.